"Eugene Atget, who, around 1900, took photographs of deserted Paris streets. It has quite justly been said of him that he photographed them like scenes of crime. The scene of a crime, too, is deserted; it is photographed for the purpose of establishing evidence. 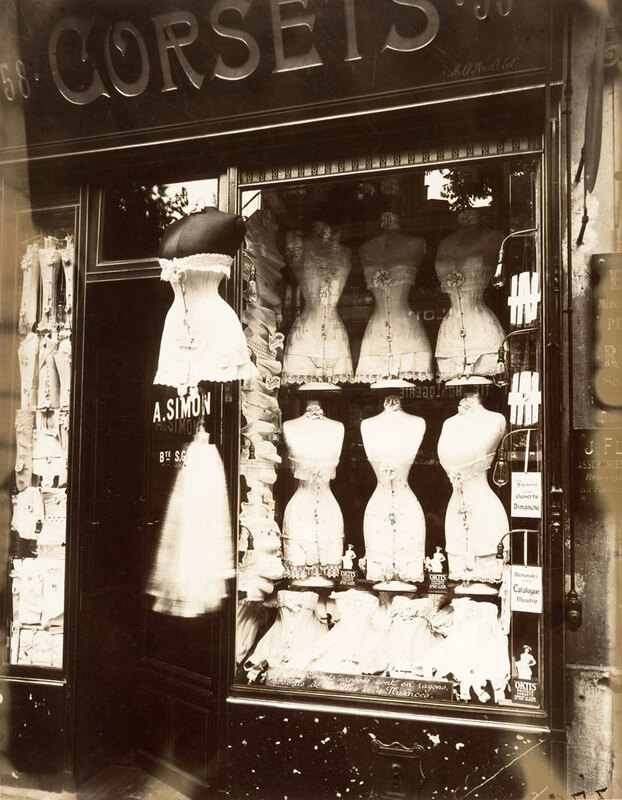 With Atget, photographs become standard evidence for historical occurrences, and acquire a hidden political significance. They demand a specific kind of approach; free–floating contemplation is not appropriate to them. They stir the viewer; he feels challenged by them in a new way. At the same time picture magazines begin to put up signposts for him, right ones or wrong ones, no matter. For the first time, captions have become obligatory. And it is clear that they have an altogether different character than the title of a painting. The directives which the captions give to those looking at pictures in illustrated magazines soon become even more explicit and more imperative in the film where the meaning of each single picture appears to be prescribed by the sequence of all preceding ones." Benjamin, Walter (1988). 'Illuminations', New York, US: Random House. Fig.1 Eugène Atget (French, 1857–1927), 'Boulevard de Strasbourg 1912', Albumen silver print from glass negative 22.4 x 17.5 cm (8 13/16 x 6 7/8 in.). The Metropolitan Museum of Art, Gilman Collection, Purchase, Ann Tenenbaum and Thomas H. Lee Gift, 2005.